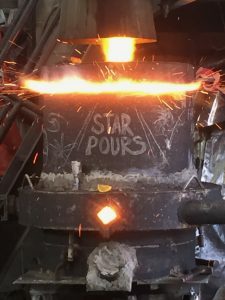 Very please to be artist in residence at the University of Minnesota/Minneapolis , Department of Art ,Foundry Arts for the 49th Annual Iron Pour. I gave a talk , worked with students and made new work. A big Thank You to the Foundry Club and Wales Arts International for grant award.